While I was in Rochester, MN this weekend for the state dart tournament, I had a lot of free time to do my own thing while Terry played. I only did one event the entire weekend and that was on Friday night. I decided to stay the whole weekend so I could explore and have a weekend away! 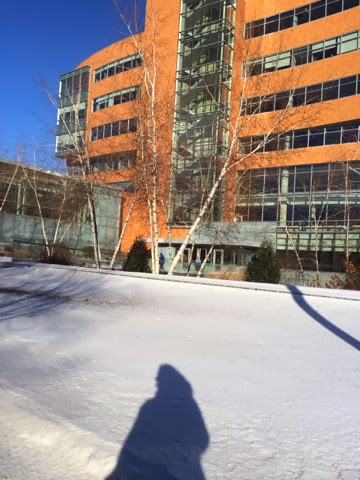 On Saturday morning, I walked the three blocks from our hotel to the Dan Abraham Healthy Living Center. 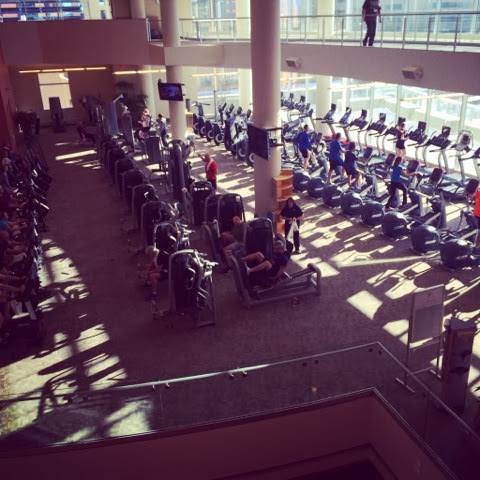 Being a Mayo employee, I was able to have access to the fitness center that Rochester employees utilize. I was blown away by the size of the place! The locker rooms were gigantic and included spiffy lockers, showers, changing rooms, makeup/hair stations, computers, and probably much more that I didn't find! The locker room alone was bigger than our employee gym! 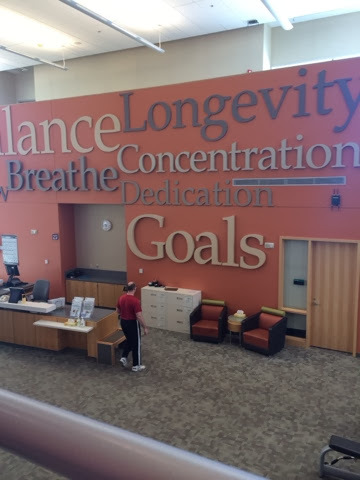 Don't get me wrong, I love our employee fitness center... But holy smokes! Since the gym was so overwhelming with the three levels, I got on the first treadmill I could find. It was by the window, so I was able to bask in the sunlight during my workout. Yes, I pretended it was summer the entire time. 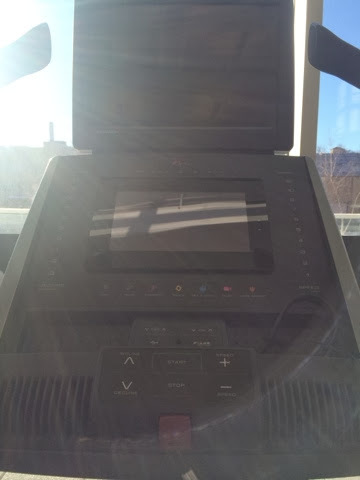 Each cardio machine had a tablet and an HD TV. Spiffy spiffy. I completed a five mile run then walked a few laps on their indoor track that circles and overlooks the entire facility. 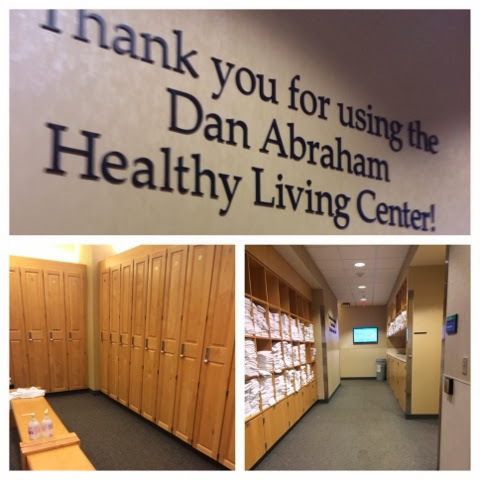 While the hotel we were staying at had a decent fitness center, I'm glad I had the opportunity to check out the Dan Abraham Healthy Living Center! If I ever come back to Rochester, I'll definitely go again!